There is a wide range of displayed properties for sale in Bahrain as the kingdom is witnessing a significant development in its property market. The recently launched residential and commercial projects succeeded in grabbing the business world’s attention towards Bahrain, it showed how profitable buying a property in Bahrain would be. In 2000, the Kingdom’s government opened the door for foreigners to purchase properties. A number of freehold areas were defined, mostly sea reclaimed areas scattered throughout the kingdom’s islands. Freehold areas like Juffair, Seef, Amwaj Island, Reef Island, Durrat Al Bahrain, and Busaiteen became very popular between property searchers and residents. These areas feature the finest quality of properties along with a full set of facilities to make lifestyle way easier for all. Juffair properties for instance are highly demanded by Bahraini and GCC national buyers. It’s known for its high-rise apartment developments and fancy retail centers like Juffair mall. Seef offers fancy residential units as well varying, the majority of displayed properties for sale in Seef is apartments. They vary to range between studios, average apartments, and penthouses. They vary in size between 2-bedroom, 3-bedroom, 4-bedroom, and 5-bedroom flats. Expats looking for an exquisite style of living in a gated mixed use community should consider Amwaj Island. It’s a totally man-made island that lies in Muharraq and has all needed amenities and facilities to ensure top quality of living. Reef island is also a perfect location for all segments, it has a variety of premium apartments attached with a wide range of amenities and lies in the heart of Manama. Reef Island is only a couple of minutes from Bahrain’s best entertainment and shopping destinations like Bahrain City Center and Seef Mall. 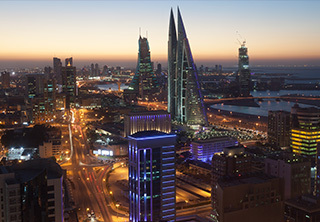 Despite being a small island in the middle of the Arabian Gulf, Bahrain boasts great real estate investment opportunities for all those looking for high profitability in GCC region. Many of the kingdom’s localities feature high rental revenues as they are demanded by residents. Moreover, Bahrain’s property value appreciates in average by 10% to 12% per year. The current boost in the kingdom’s domestic economy bolstered the property market and invigorated transaction activity. The kingdom’s total transaction value exceeded BHD1 billion in the last three consecutive years for the first time in the small island kingdom’s history. No matter what kind of property you are looking for, it’s definitely a right decision to join the rising property market of Bahrain.